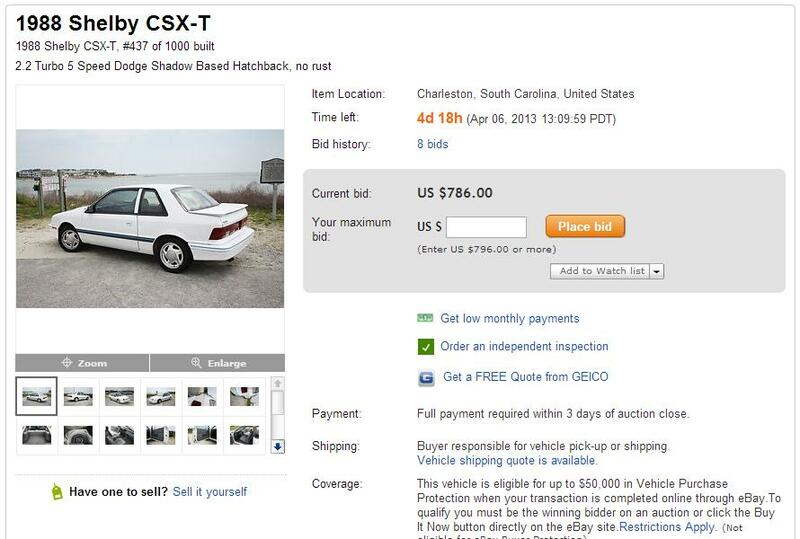 Beaterblog: Marketplace Feature - My CSX-T! Just as quickly as it came into my life as my 30th vehicle, I realized that I have too many projects and am not really getting the things done that actually need to get done on my cars. Example: The CSX-T is now running but the Simca has no brakes and my Jeep is about to drop its ball joints. So it's last in, first out as I consolidate my collection. Also with the the new Beaterblog Dixieland Branch MegaGarage (read: two car garage in my back yard) to start construction in a couple weeks, I could use the extra scratch. My budget for this project did climb quite a bit and I ended up spending about double the cash and five times the effort that I had originally planned. But my loss could be your new track day, or even freaky Friday drag car project. After all that, I did get a reliable and fast daily out of it for a few weeks. Now it's your turn to reap the rewards now that all of the grunt work is done. See the listing here. I'll take anything for it, really!